Description First issued in 1947 at 9d. The card is designed to fold down the middle showing a title card to the front, and instructions on the back. 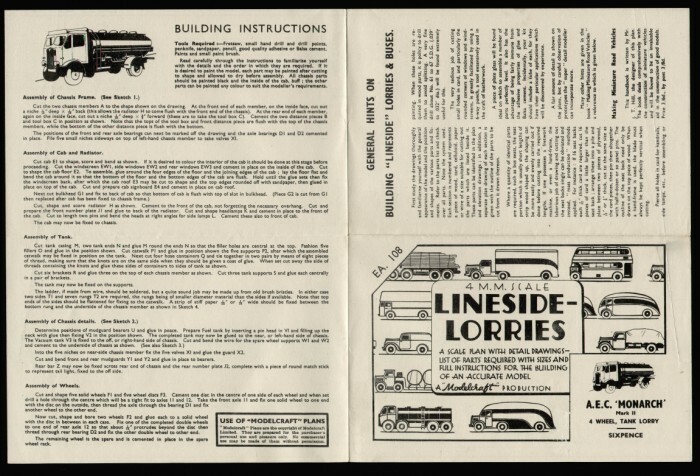 Trucks J1, J2 & J3 printed in 1947 are on slightly browner card than Trucks J4, J5 & J6 printed in 1948. 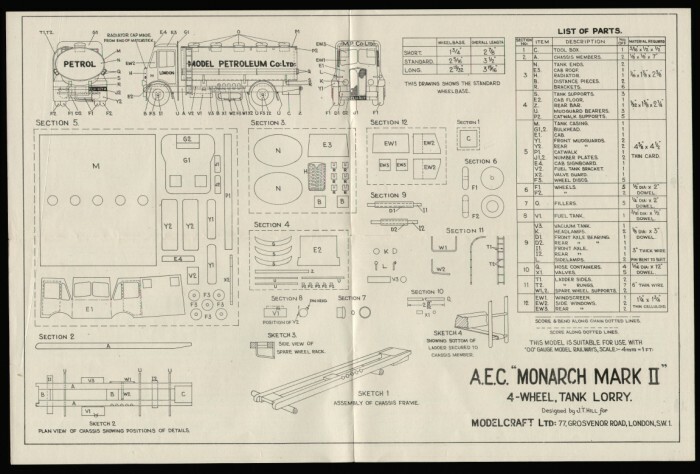 Paper and card stock was in short supply in 1947 so Modelcraft had to print on what was available. From J4 onwards the quality of the card is considerably improved. Designed and drawn by J.T. & R.W. Hill. Large stocks passed on to the ERG Model Shop in 1979. All of these Modelcraft Lorries can be paired up with the matching “E” series of more elaborate Modelcraft “Lineside Lorry” plans, also designed by J.T. & R.W. Hill.